We’re kicking off our brand new series all about how to set good goals!! 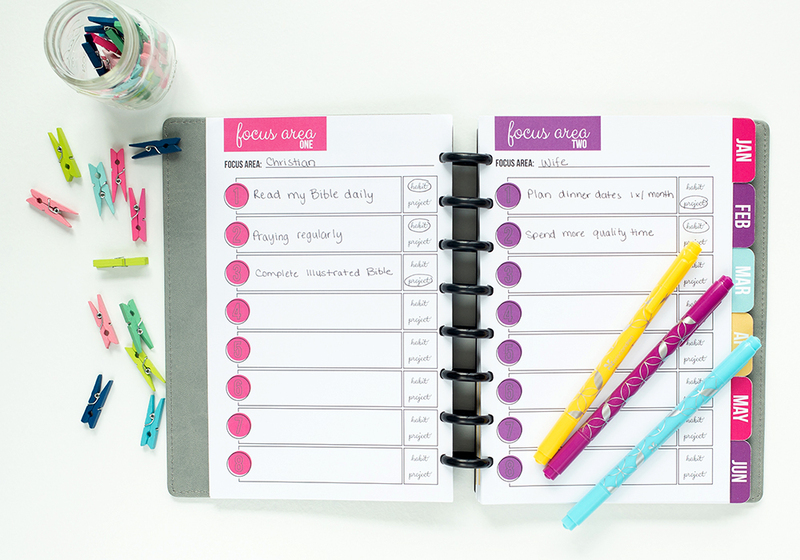 Really, this series isn’t focused so much on how to set goals (that’s the easy part, right? ), but on how to ACCOMPLISH goals! I’m not sharing this advice with you because I’m a goal accomplishing expert who has always completed tons of goals every single year. In fact, quite the opposite is true!!! I was a total goal accomplishing failure for many years. 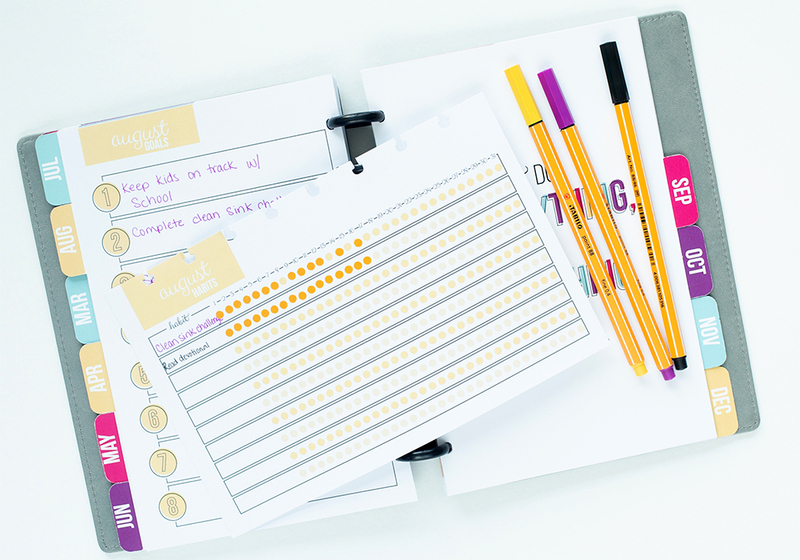 I could set goals with the best of them – mapping out my 10 year, 5 year, and 1 year goals. And then breaking them down into smaller tasks and assigning those to specific months, weeks, or days. But, then I never actually finished any of them!!! I would get derailed and throw in the towel. While I still don’t have it all figured out, I have made a lot of progress at accomplishing my goals over the past few years, and I’d love to share what I’ve learned with you. Accomplishing your goals starts with the right prep work. I used to sit down on December 31 and brain dump every goal idea I had and declare most of them goals for the year. That didn’t work out so well. Now, I take the time to really reflect on the past year or so. I write down what made me happy, what made me sad, what I could improve, and so on. This really helps me get it all out on paper. 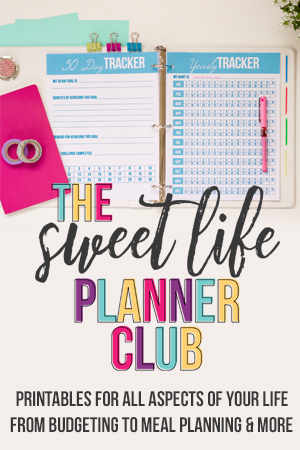 The first pages of the Sweet LIfe Planner walk you through this process. Some people call this “starting small” but I prefer to call it prioritizing. When every goal is important, it really diminishes the importance of all of them. Start with no more than 3-4 goals at a time. Once you get those done, move on to the next. 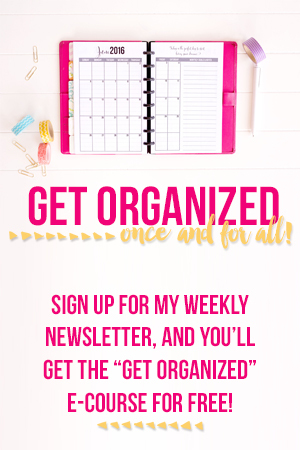 In the next part of this series, I’ll walk you through exactly how I go through the process of prioritizing. The great thing is that after you go through the prep work, all your goal ideas are written down, so you don’t have to be afraid of forgetting them. They’ll still be waiting for you later. 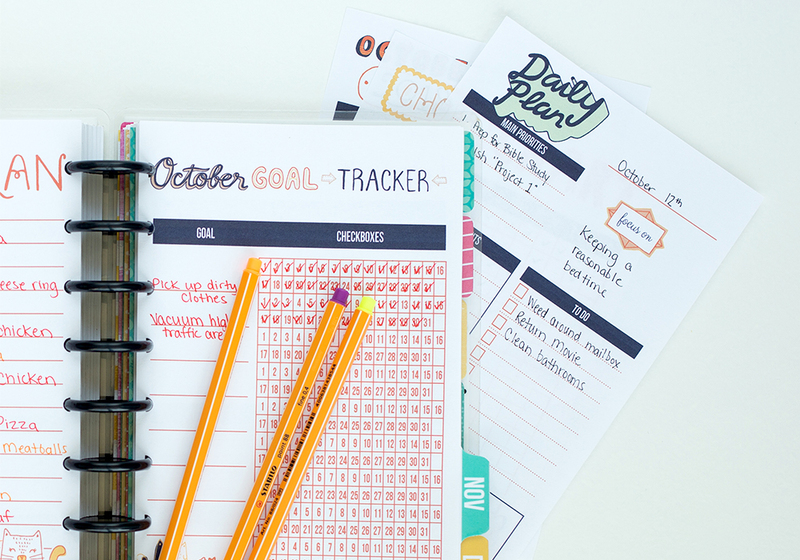 I like to go through all my goal ideas and identify if each one is a project or a habit. Projects are things that you do once (even if it’s a long, multi-step process), and it’s done. 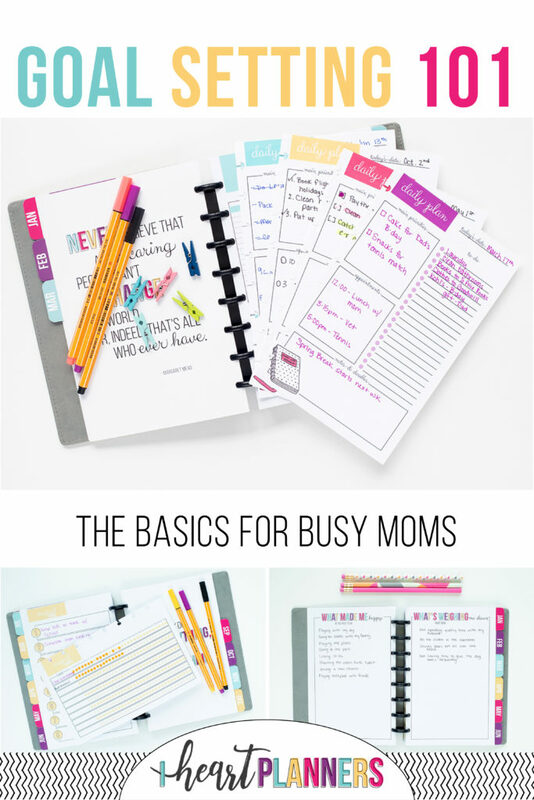 Things like creating a baby book for your child’s first year or running a marathon. Habits are ongoing tasks that you want to do on a regular basis for a long time. This includes things like flossing your teeth, eating 3 servings of vegetables a day, or washing all the dishes before you go to bed each day. This really helps to know what things can be completely crossed off your list when they are done and what things you want to become more consistent in doing long term. 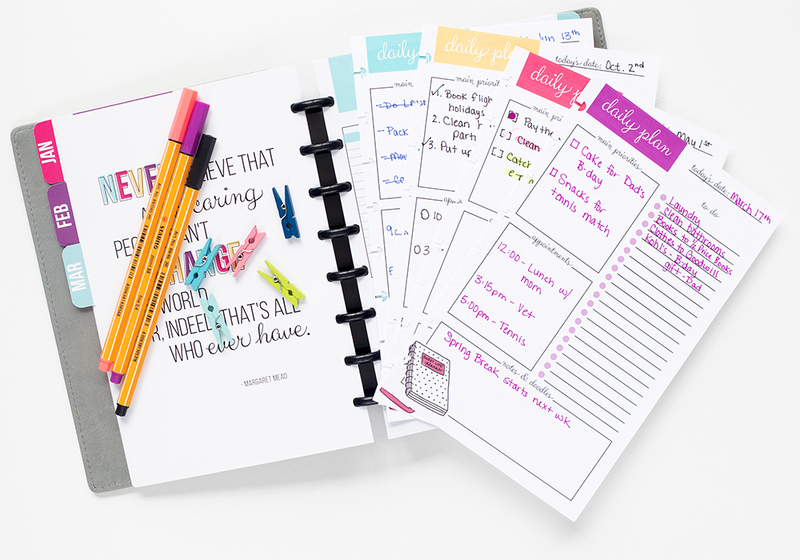 Then it’s best to focus on 1-2 habits and 1-2 projects each month. Any more and you’ll become overwhelmed (ask me how I know). Accomplishing your goals isn’t something that can be rushed. It really does take time – especially when it comes to building lasting habits. Give yourself enough time for each habit to really feel natural before you add something else. Many experts say this takes 21 days, but new research suggests it often takes much longer. It’s okay if it takes you longer. Accomplishing goals is tough. Give yourself some grace. If you mess up, don’t beat yourself up. Just keep going. The MOST critical time is what you do right after you mess up. 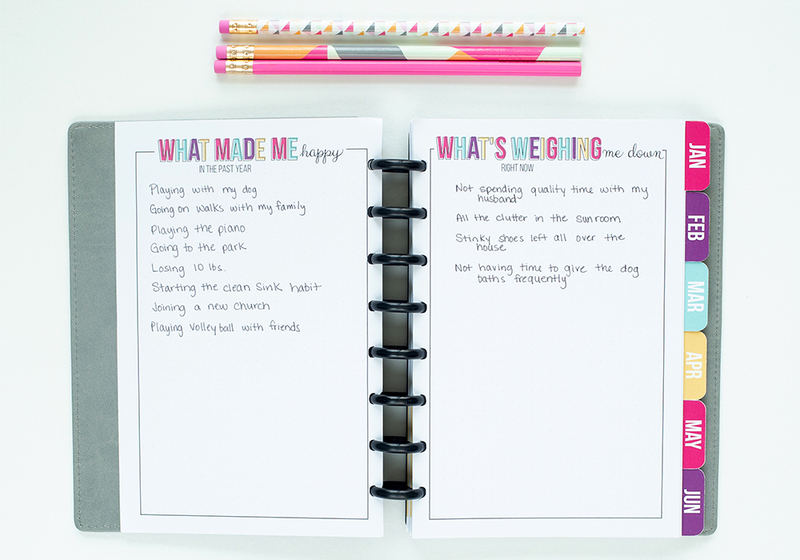 You’ve probably heard that you’re more likely to accomplish your goals if you write them down. Well, it’s true! You really are. So definitely take an extra few minutes to write them down. I like to keep them all in my planner. Like anything, your ability to follow through on your goals and intentions is a muscle that can be strengthened. You can strengthen it by building the habit of following through on small things. 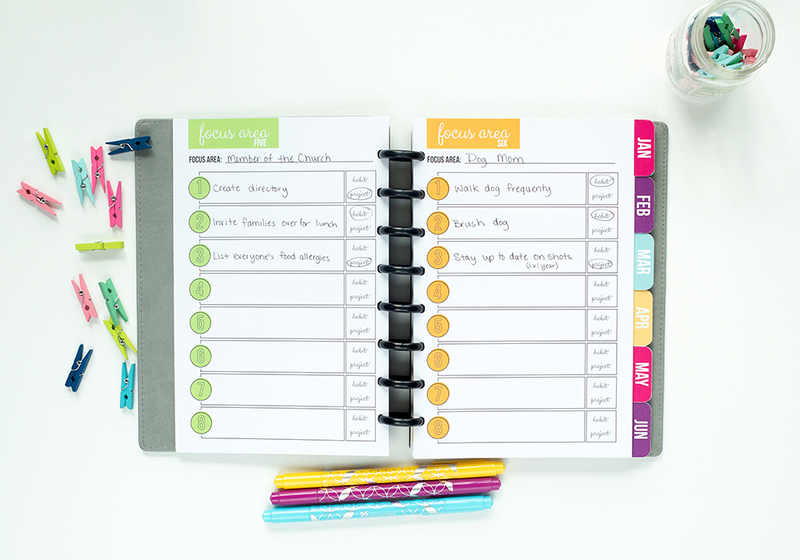 I do this by starting each day with a daily plan – but not just ANY daily plan. It has to be the right type of plan. It has to be prioritized. I have 3 sections: one for appointments, one for top priorities, and one for the rest of my to-do list. I treat that top priorities list with the great care it deserve. I only put 3-5 things there – things I KNOW are reasonable and important for me to accomplish that day. Then I get in the habit of really, truly accomplishing at least those things each day. If I don’t get the rest of my to-do list done, I still call the day a success. This habit will work wonders for your “accomplishing muscle.” Give it a try! I hope this has helped you. I’d love to hear how you accomplish your goals. Be sure to add your tips in the comments below. 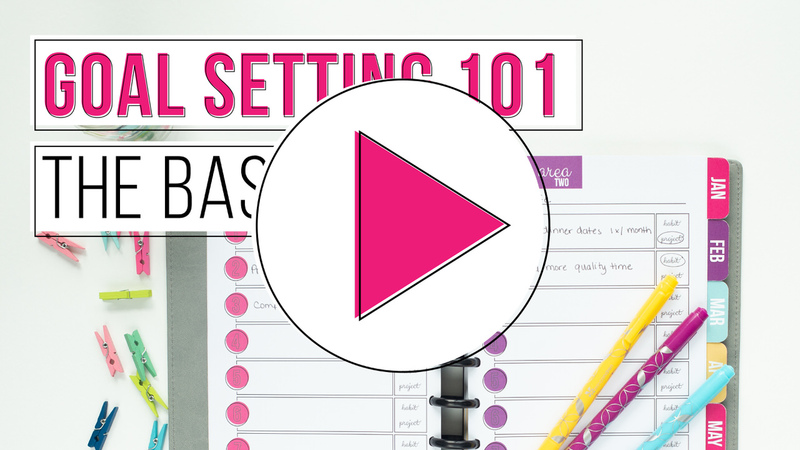 Stay tuned for the next part of this series where I give you a huge sneak peek at my own goal setting process. How do you do this when you are moving? I have begun to reorganize our personal belongings started with 3 boxes labelled – trash, donate, keep for all areas of apartment. I took a friend up on her offer to help me get sarted. I’ve gotten most of it done just by doing a little every day. Kitchen and clothes closet are done too. I have also begun reorganizing my craft items such as cutting sorting, labeling and storing my scraps of fabric. The thrift store ladies have definitely gotten to recognize me. Interruptions such as helping a friend to pack/sell her belongings has me feeling a bit stressed. I will take a break for a day come Friday to go out of town for the day and we will treat ourselves to a nice day together. Daily chores are not a problem. I have lost my fear of getting organized except our boxes of photos has my head swimming. Such a time consuming task. I have so many quilting projects to plan and sort through with fabrics still to sort through and list. With help of the printables that I downloaded/printed for my crafts, I am determined to get it all done by the New Year if not before. I used the ‘do a little bit every day’ method. I began to reorganize our personal belongings by starting with 3 boxes labelled – trash, donate, keep for all areas of our apartment. I took a friend up on her offer to help me get started. We took photos of items to sell and posted those on line right away. Kitchen and clothes closet are done in same manner too. I have also begun reorganizing my craft items such as cutting sorting, labeling and storing my scraps of fabric. Then went through all quilting/knitting/crocheting supplies putting like with like items. 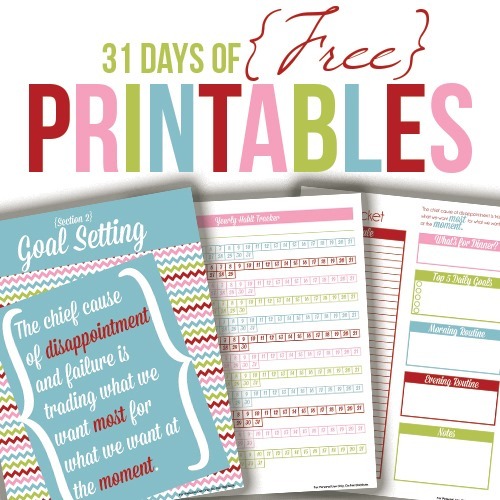 I downloaded some printables to use with my craft projects and supplies. Interruptions such as helping a friend (same friend that assisted me) to pack/sell her belongings has me feeling a bit stressed. I will take a break for a day come Friday to go out of town so hubby and I can treat ourselves to a nice day together. I have lost my fear of getting organized except our boxes of photos has my head swimming. Such a time consuming and daunting task. A definite winter project. Thanks to everyone for the advice and inspiration. I’m pretty proud of my accomplishments thus far. Do you have a sample that I could get and try for the last 3 moths of this year? I would like to get it.